We often see people asking for how to gently wean their toddler for whatever reason, but we find that rarely anyone has much insight in how to begin, usually because most people who are active in support groups are trying to continue breastfeeding. So below is a very basic way to go about weaning a toddler. Talk to your toddler and explain in simple terms what is happening. Toddlers understand and comprehend more than we think they do, so the first step is talking about what is happening and why. 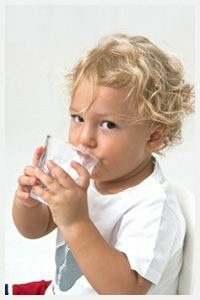 When we were day weaning my toddler during my pregnancy we talked about how now he was bigger he didn’t need milk during the day, and he always could have a drink of water if he was thirsty, or cuddles if he needed them. We always pointed out that now he was a ‘big boy’ there were lots of exciting foods he could eat, and even some that he was able to access himself at anytime at home. Choose which feeds will take the most energy to drop. For many toddlers that would be bedtime and nap time feeds. You might like to make these the last feeds to drop, as they will likely be the feeds that your toddler takes the most comfort in. During the day keep busy. Go visiting friends, go to a park to play, even go shopping; just anything to get out of the house and keep toddlers mind occupied. We have water that toddler can access throughout our house on his own, and also drinks in the fridge in non spill sippy cups he can get aswell. We also have food that he knows he is allowed to eat at anytime. This helped us with not only him only having his liquids from breastmilk, but with his self perception of being a ‘big boy’. We (hubby and I) also made certain to give extra cuddles, kisses and snuggles, and also to pay more attention to him, to hopefully counteract some of the lost comfort he had with breastfeeding. During the night can be difficult, and you can find detailed info here. Some points to remember are that you may still need to get up and parent your child at night, without the easy out of breastfeeding back to sleep. I often had to get up and get cheese, bread or fruit for my toddler when we nightweaned him during my pregnancy, and I often heard him drinking water from his sippy cup during the night. We were partially bedsharing at the time so this helped with the lost comfort of breastfeeding. It’s ok to take a step back if your toddler is sick or teething or having a rough day. You can pickup again once you are both ready to. If at any time you start feeling sad or regretful about weaning you can pause and either resume demand feeding or just stay at the level you are currently at. For example alot of mums are ok with just a bedtime breastfeed and continue at that level for quite awhile before cutting out the bedtime feed. Dropping the last feed can be challenging to get your head around. We found that changing our bedtime routine was a big help to dropping the last feed. So where we used to breastfeed to sleep in his bed, we now have a wind down snuggle in my bed, and then he has a drink of ebm in a cup with hubby, and he and hubby snuggle till he falls asleep. After this became regular for him (a couple of weeks) he was happy to do the same with me as well. He still often wants to have his hand on my breast as he falls asleep, and he is content with that for his comfort. If Your Legs Weren’t Working, What Would You Do?